Every scholar on our campus is promised respect, independence and self-trust. Therefore, Inclusive Education sharpens our focus on catering to the needs of special children and assisting them to be integrated with mainstream education. A multidisciplinary team of closely involved and dedicated special educators, speech therapists and occupational therapists create meaningful and equitable access to a specific curriculum, especially designed for the specific child. Enhancing a child’s motivation to learn from multiple perspectives, through collaborative teaching approaches, leads to positive outcomes. Inclusion is an on-going process that aims to increase access and engagement in learning for all students by identifying and removing barriers. We provide support to students from non- English speaking backgrounds. 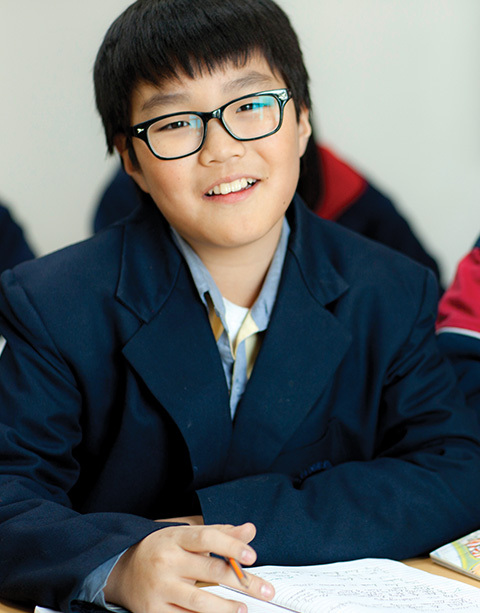 Our foreign scholars joining school from Korea, Thailand etc, need assistance in the English language on arrival. English is non-native to India as well, however it has an established role and has become a predominant language. The ESL classes are taken either one on one or in very small groups of 3-4 students. The Assessments are individualized as per the needs of each student and so are the Lesson plans. Sometimes the English support teacher offers these Scholars support within the Regular class while on other occasions the ESL teacher may have to run special classes for ESL scholars.